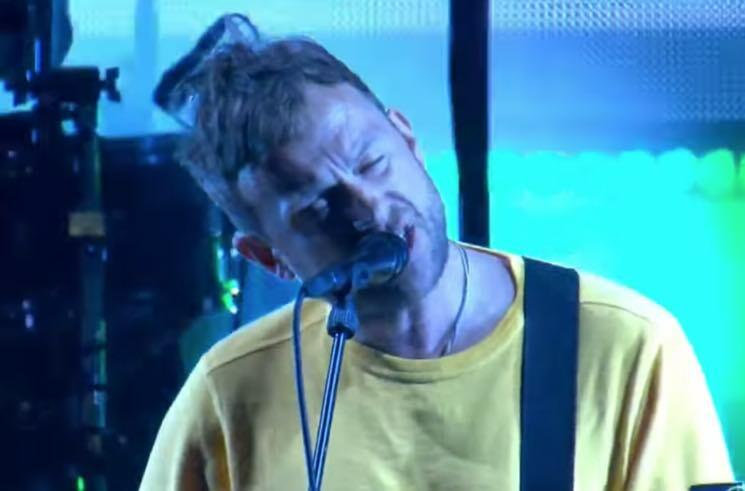 They debuted "Tranz," "Magic City," "Sorcererz" and "Souk Eye"
Gorillaz performed a slew of new tracks during their headlining slot at the Rock im Park festival in Germany over the weekend, and now footage of the new tunes has surfaced online. We've already heard singles "Humility" and "Lake Zurich," but during their festival set, Damon Albarn and co. also debuted "Tranz," "Magic City," "Sorcererz" and "Souk Eye." All of those tracks will appear on The Now Now, which is due out on June 29 via Parolophone/Warner. If you want to catch the virtual band live in the flesh, you can find their upcoming tour dates here. Watch Gorillaz' full set from Rock im Park down below, as well as individual fan-shot clips of the new tracks.